Hayfield Farm is the best of both worlds. Very conveniently located but, the neighborhood also offers privacy. As you drive through you’ll see well-established trees and landscaping. It’s common to see residents out walking, during the summer it’s rare to drive through and not see someone headed to the pool. Kids are frequently out playing and riding their bikes. The peaceful setting while still being within minutes to anything one might need is a big draw for future residents. Looking For A Home In Hayfield Farm? Interested in finding homes for sale in the Hayfield Farm neighborhood of Alexandria VA? Click that link to find homes currently available in this area of Alexandria. Construction of the neighborhood began in the mid 1960’s and the last homes were completed in 1972. Hayfield Farm offers different home styles including; colonial, rambler, split level, and split foyer. There is no HOA for the neighborhood but, community members are encouraged to join the Hayfield Citizens Association. What’s Going On Nearby the Hayfield Farm Neighborhood? Hayfield Center is in walking distance from Hayfield Farm. It’s home to House Of Dynasty, McDonalds, Stone Hot Pizza, Hayfield Dental Care, Crest Cleaners and Katana Sushi. For more shopping and dining options Kingstowne Towne Center is just a few minutes from the neighborhood where you’ll find access to multiple grocery stores, restaurants, retail stores, and Kingstowne 16 Movie Theater. Check out Hilltop Village Center home to Wegmans, Burtons Grill, Verizon, Sprint, Green Turtle, LA Fitness, PNC, and many other dining and retail options. Commuting from Hayfield Farm is very convenient; access to 395, 495, 95, and Fairfax County Parkway are all within minutes from the neighborhood. Fort Belvoir and a US Coast Guard Station are located on Telegraph Road and just a few minutes by car from Hayfield Farm. If you’re looking for access to metro the Franconia Springfield Metro Station is less than 10 minutes away by car, Van Dorn Metro Station is also close by. Kids that live in Hayfield Farm will attend Hayfield Elementary and Hayfield Secondary both of which are in walking distance from the neighborhood. To learn more about these schools including test scores and reviews check out the GreatSchools site. 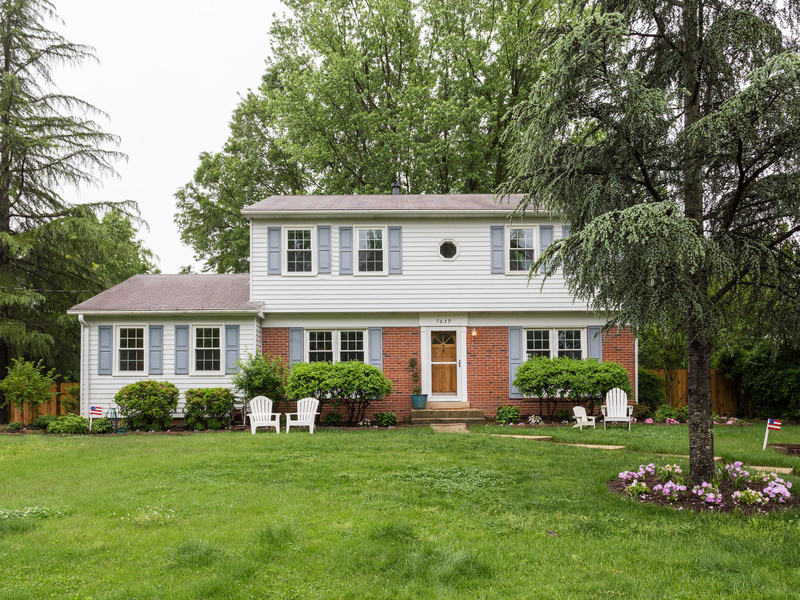 If you are interested in the current homes for sale in the Hayfield Farm neighborhood of Alexandria VA click on the link. Our property information is a direct feed from the Bright MLS and is updated multiple times per day. Have questions about Hayfield Farm? Contact us, we’d love to help you!